I’ve partnered with Google for Education in an effort to help families be safe online and to create a better internet for everyone, especially our children. As a parent, it’s essential to teach your kids to be safe online. The very traits that make our kids so precious — their innocence and optimism — are the traits that make them vulnerable to internet dangers. With five kids of my own, each with their own cell phone (we recently got one for my youngest) and a house full of technology like computers, laptops, tablets, and smart TVs, my home is filled with opportunities to engage on the internet. I appreciate convenience and benefits the internet has to offer (my job relies on the internet after all!) so to keep my kids safe online, I don’t want to prevent them from using it. Instead, I want to teach my kids how to be safe online so they can enjoy its benefits without exposing themselves to danger. Have you had the talk with your kids about “stranger danger”? If so, you know how tricky it is to navigate conversations about their safety without scaring them too much. We want them to take our safety advice seriously, but without making them afraid to engage with the rest of the world. 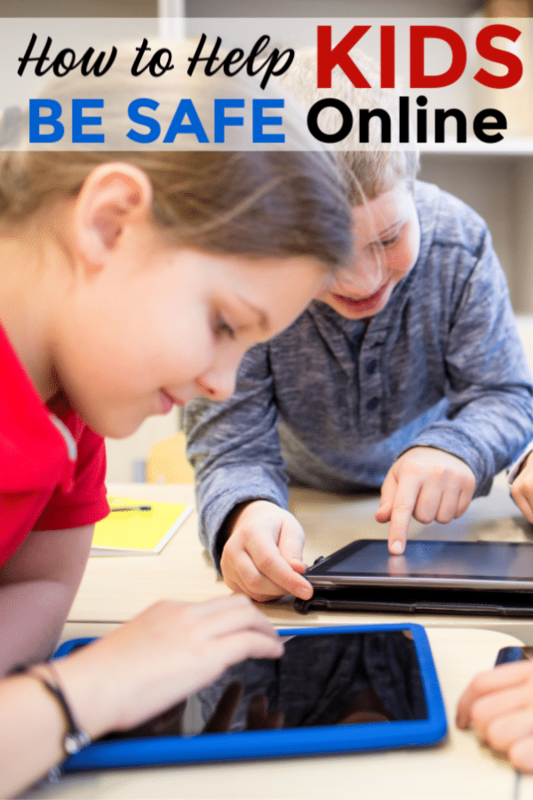 Consider introducing the topic of online safety with activities that are lighthearted and non-threatening. 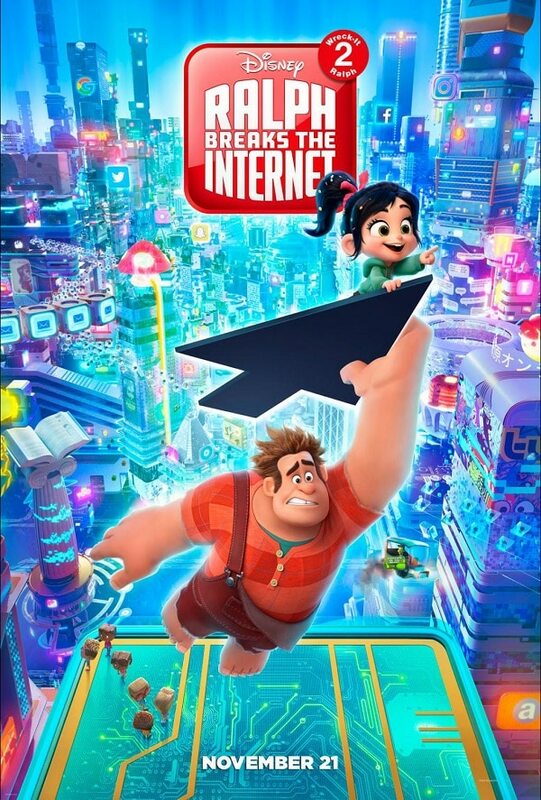 For example, the movie Ralph Breaks the Internet covers topics like online auctions, viral videos, the dark web, and computer viruses. Of course, these topics are just backdrops to the plot, but the movie is a great way to introduce your child to the terms. You can talk to your child later about some of the terms and how they apply in the real world. Download the Ralph Breaks the Internet Activity Book if you want an opportunity to talk about the movie after you’ve seen it. You can chat about the movie while your child works on the activities (or as you work on them together). I’m also a big fan of the Interland game on the Be Internet Awesome website. I wrote all about it in my post Teach Your Child to be an Upstander if you want more details. Essentially, Interland is a series of games that teach kids important skills and concepts that will help them online. The games enforce behaviors that not only keep our kids safe online but also make the internet a better place overall. In addition to the Interland game, you’ll also find a very helpful Family Guide on the Be Internet Awesome site that you can download and/or print. It’s full of tools and resources that will help you cover online safety and citizenship as a family. For each category above, the guide includes goals, background information and tips for talking and learning, vocabulary and family activities. 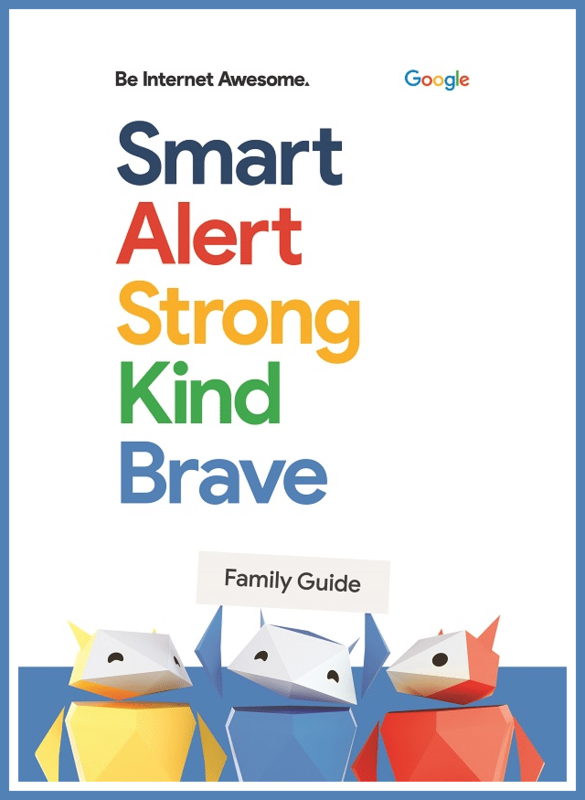 The Family Guide also has a section titled “Family Link Guide for Families” to help you set digital ground rules for your family. If you want to start with something easier, look for the Internet Awesome Tips on the Be Internet Awesome site. There’s one page for each of the 5 pillars of the Internet Code of Awesome with tips to help you practice each principle. Ready to take action? Come Together for a Better Internet with your family by using Be Internet Awesome starting with the program’s NEW Family Guide and then encourage your kids to put their skills to the test with Interland at g.co/Interland. Use the Be Internet Awesome Quick Tips for families. Encourage your child’s school to come together for a better internet too by sharing Be Internet Awesome with their teachers. 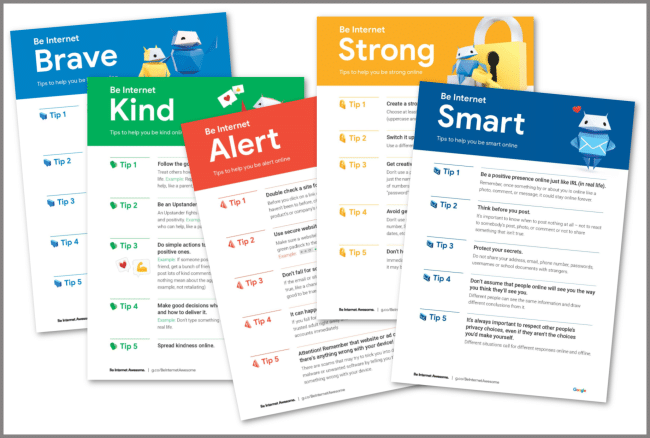 Have a conversation with your kids about how to be safe and smart online every day using the information above.